Thala Beach Nature Reserve is located between Cairns and Port Douglas Australia. 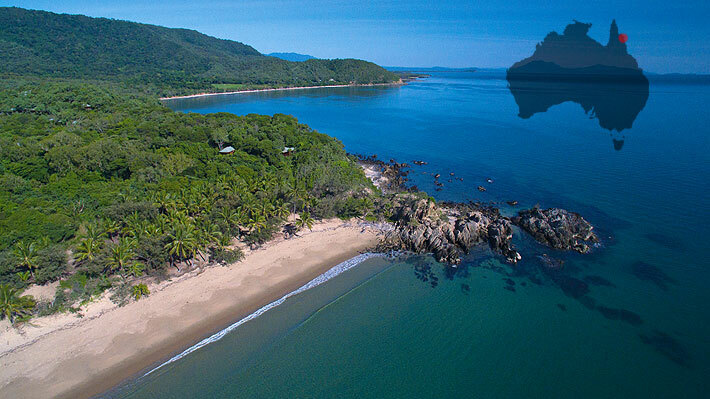 Situated on the northernmost headland of a 2km stretch of private, untouched coastline the views from our restaurant are panoramic, taking in the Far North Queensland coast from Double Island to Cape Tribulation, and from the sparkling waters of the Great Barrier Reef to the World Heritage Forests that cover our coastal ranges. Thala Beach Nature Reserve provides a natural and secluded environment for your relaxation, and is a tranquil haven at the end of a hard day’s exploring. Whether strolling at sunrise on our private tropical beach or relaxing with cocktails watching the sunset over the coastal ranges, you will be enchanted by your surrounds. Your accommodation is nestled amongst the Eucalypt forest, which has been carefully preserved. 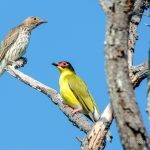 We have a great variety of forest, which provide habitats for some extraordinary birds, plants and animals. The bungalows are spread throughout the forest canopy, providing a magical and unobtrusive relationship with the natural world surrounding them. There is a shuttle service that departs Thala’s reception area for Port Douglas (only 10 minutes away). All tours in the Cairns, Port Douglas area pick up at the Lodge. All local specialist tours can be arranged for you after arrival. The drive from Cairns International and Domestic Airport to Thala Beach Nature Reserve is approximately 45 minutes. 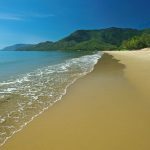 Airport Transfers can be organised from Cairns International and Domestic airports where you will be met by our shuttle bus and transported along the scenic coastal drive north of Cairns straight to Thala. Full driving instructions can be seen here. If arriving by car take the coast road between Cairns and Port Douglas and look for the Thala Beach Nature Reserve signs at Oak Beach. The drive from Cairns to Thala Beach Nature Reserve is approximately 40 minutes.